Fishing was very much a family affair in the Seaboard Villages with all of the grown up family members participating in some way. The women of the Seaboard Villages didn’t work at sea but sometimes life back on the shore was just as hard. The jobs for the women would range from collecting bait and then fixing it to the lines, to selling the fishermen’s catch. The women would also carry the men folk onto their boats to save them getting wet. 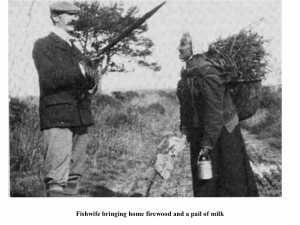 All of those tasks were time consuming for the women, many had small children to look after as well as the day to day running of their households to attend to. Women would clean and pack the fish which would then be dispatched to the markets as ‘fresh’ fish. 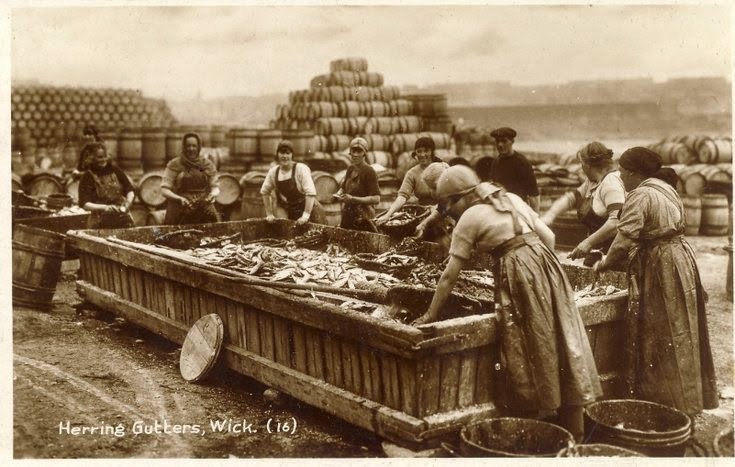 The women also went through the process of splitting, gutting and packing the herring which were to be sold on as ‘cured’ fish. 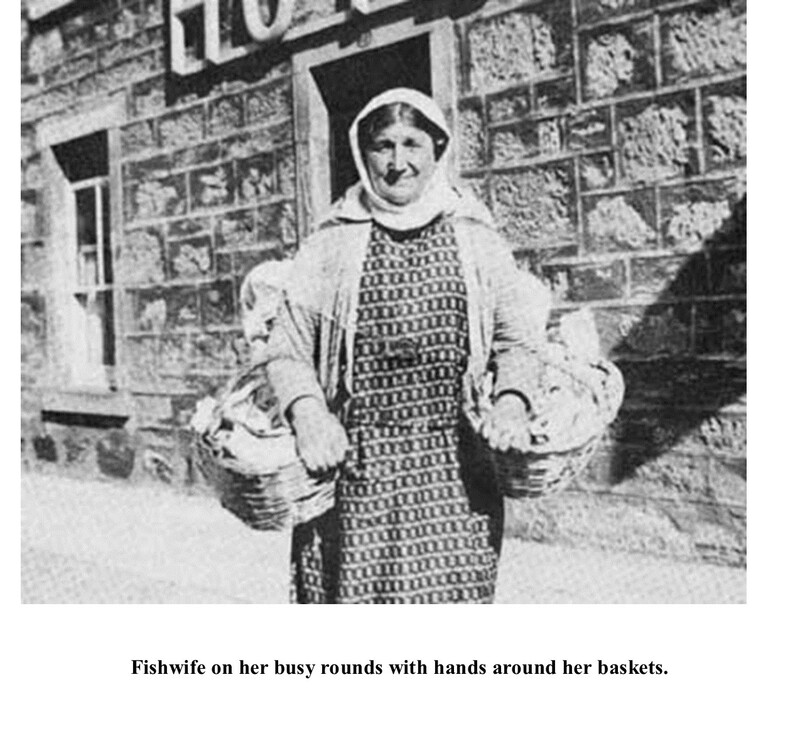 Distribution and sales of fish, both fresh and cured, before the development of railways required the women to walk miles to the nearest town to sell their catch. The women would cart their catch in ‘creels’, (wicker baskets) to the nearest town to sell at market. The travelling ‘fisher wife’ was a very striking sight, she wore voluminous cloth skirts and a spotless white ‘mutch’ or cap. 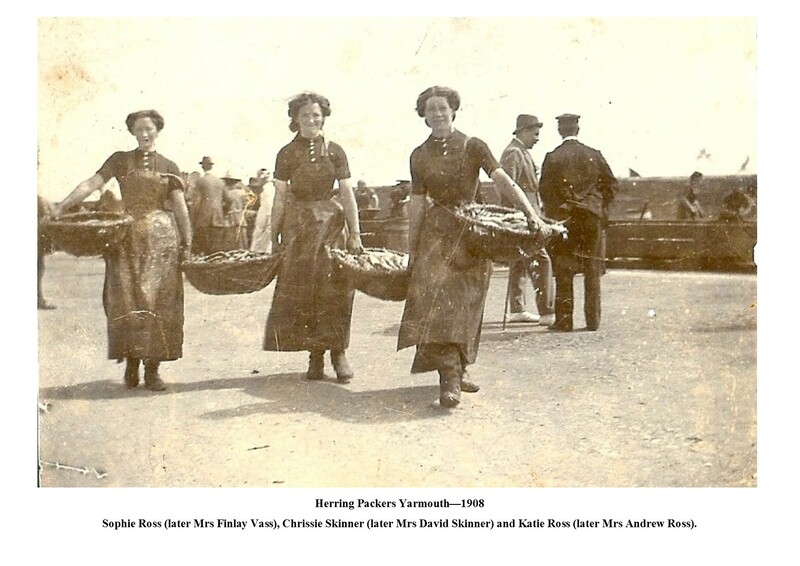 Many women of the Seaboard Villages also migrated annually to Great Yarmouth to work curing herring. There was a herring curing yard in Balintore which provided a bustle of activity quite unknown to the area today. The herring season began in May in Shetland, it then moved nearer the Seaboard Villages between June and August but subsequently carried on down the coast reaching as far as Lowestoft and Yarmouth in the autumn. Where the herring went the men followed. 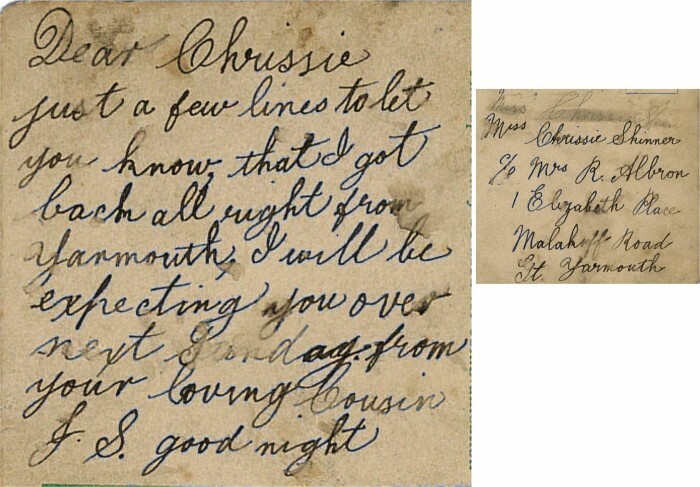 For many years local men have gone after them, sometimes sailing as far as Barra in the Outer Hebrides or even to Ireland in half-decked boats with bunks in the open. Herring fishing had a great boom in the 19th century. 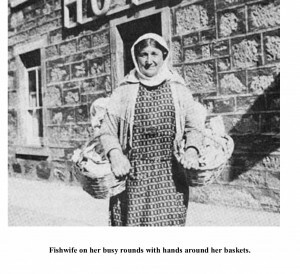 From 1850 – 1900 the export of herring rose substantially as stocks were fished extensively, leading to a great decline in herring stocks across Scotland . 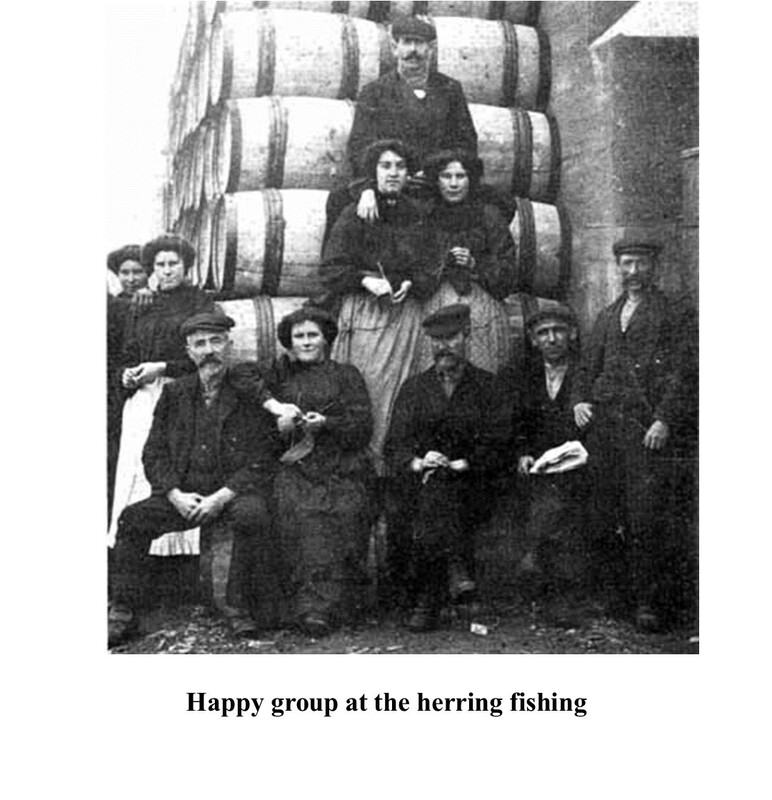 The barrels that were prepared for export by the Herring Girls could hold hundreds of herring which were tightly packed together in each barrel. 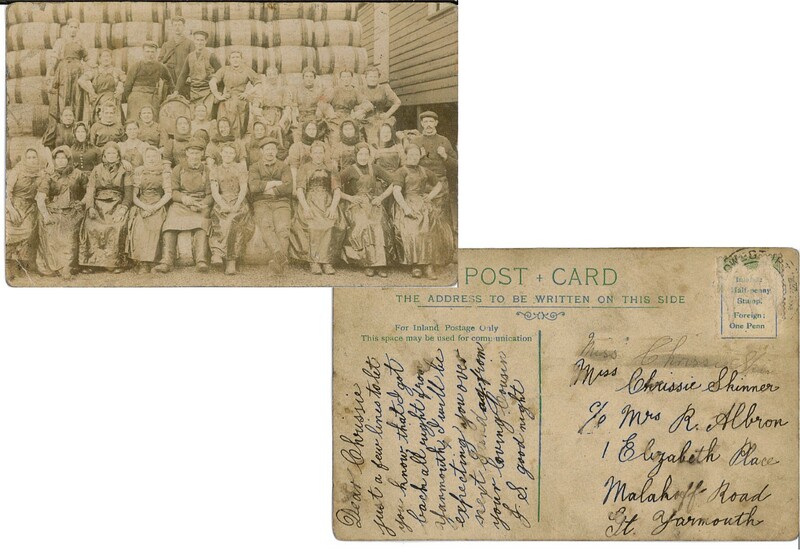 In 1880 there were approximately 40,000 people employed directly with the herring fishing industry. 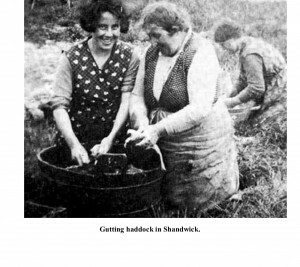 A further 50,000 people (predominately women), were engaged in supporting the shore related aspects of the herring fishing industry. After WWI the herring fishing industry was in decline, the women still migrated by train annually to work in Great Yarmouth. 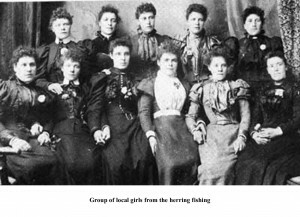 Many of the women kept up the tradition of migrating for work in the herring industry for economic gain but also to share the bonding experience with other women. Eventually with the modern developments of fishing and the decline of herring stocks the Herring Girls exploits ended. 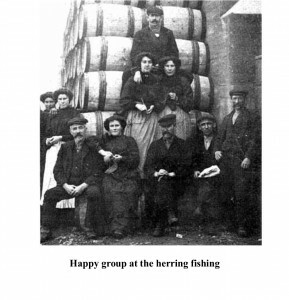 Read about the herring fishing in the Seaboard Villages here.